Visit three famous Italian cities for one incredible vacation with renowned artists, Howard and Shari Lyon. Ride the canals of Venice or roam the narrow sidewalks while looking for hand-blown glass. While in Florence, sample great works of art, including the statue of Michelangelo’s David. Your adventures end in the Eternal City, where historic structures like the Coliseum and Trevi Fountain still stand as a reminder of Rome’s tremendous past. 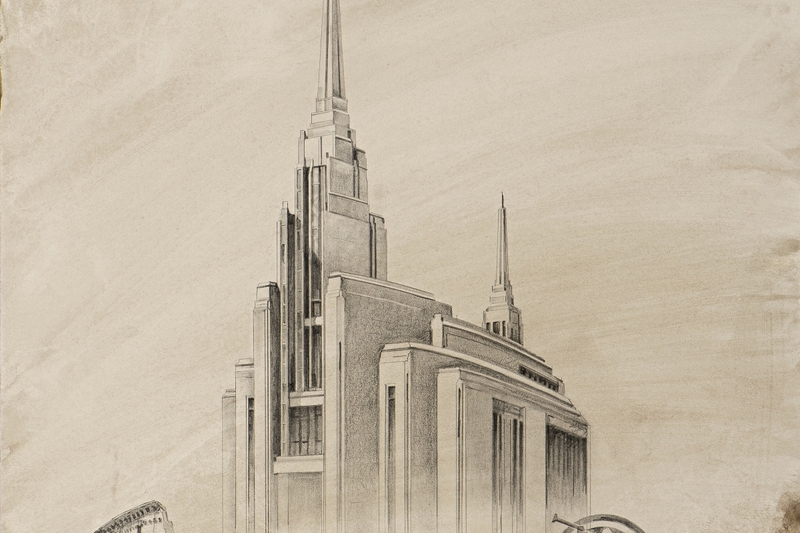 Be a part of history with a visit to the LDS Rome Temple while on tour. On Saturday, we will depart the States and fly overnight to Venice, Italy. When you arrive your tour manager will meet the group upon arrival at the Venice airport. Short transfer to the hotel to freshen up and continue to the boat terminal. Private transfer to St. Mark square where you will meet your local guide who will take you on a delightful walking tour of this ‘City of Islands’. On our tour we will see St. Mark’s Square and Basilica, the Bell Tower and the Clock Tower and the Bridge of Sighs. Our tour will conclude at the Doges’ Palace, which you can visit at your leisure. Enjoy the remaining time before making your way back to the hotel where we will enjoy a wonderful welcome dinner and have a chance to get to know each other better. After breakfast we will board the coach to the boat terminal and then board a private boat for a cruise past the island of San Giorgio Maggiore, the Public Gardens, the tip of Sant'Elena and the Lido famous beach resort to Murano Island. Known worldwide for its colored glass, you’ll see mouth-blown glassmaking in progress and enjoy a factory tour. Next stop is Burano Island. This picturesque island is famous not only for its lace, but also for the fishermen's houses painted in bright colors. Enjoy the place before cruising back to the main island for some time at leisure before making your way back to the hotel for dinner and overnight. This morning we will leave Venice and begin our scenic journey to Florence, known as the Cradle of Renaissance. Upon arrival we will enjoy a walking tour of Florence, taking in all the amazing out-door art and sculptures. Our guided tour will include the Cathedral of Santa Maria dei Fiore (Duomo), known for Giotto’s bell tower and Brunelleschi’s famous Dome. We will also have a tour of the Academia featuring Michelangelo’s statue of David. After seeing so many of Florence’s Renaissance attractions, the afternoon is yours to explore her shops, museums, markets and cafes at your leisure. Today, we drive through the beautiful Tuscan countryside to Siena. Notice the medieval ramparts where you are greeted with the Latin inscription 'Cor Magis Tibi Sena Pandit' (Siena opens its heart to you). We’ll walk through the maze of narrow streets, see the Piazza Del Campo where the famous 'Palio Horse Race' is held and the 13th century Cathedral. On our way back to Florence we will stop in San Gimignano, another beautiful medieval town famous for its unmistakable skyline. San Gimignano is known as the city of “hundred towers”. Today only still 13 towers remain of the fourteenth century and make the city clearly visible and recognizable from afar. Today will surely be one of the highlights of the tour as we make our way out of Florence to the mountains to visit the historic marble quarry in Carrara with our local guide. We will enjoy a jeep ride up the hill to the quarry opening where Michelangelo and the other famous sculptors of their day picked their marble that we still marvel at today. We will get to try our hand at the chisel as well as see many works of art. After a wonderful local lunch we will continue to the city of Pisa and see the iconic “leaning tower” and tour of the city before returning to Florence. After breakfast we will leave Florence and head south to Rome. Through the Umbria region we will arrive in the delightful town of Assisi, birthplace of St. Francis. Here we will have time to visit the cathedral and the amazing frescoes by Giotto and the medieval downtown. After a brief stop by the Basilica of Santa Maria degli Angeli we will continue to Rome. After breakfast, board our coach and transfer to the newly dedicated LDS Temple and enjoy attending a session or touring the grounds. Later in the day we visit the famous sites of Ancient Rome. As we arrive at the Colosseum, walk underneath the Constantine Arch then enter the huge arena dating from 79 AD. Next stop is the Roman Forum, where the ancient market place seems to jump to life as we stroll through the ruins. After the visit you will return to the hotel. Remaining time is at your leisure. This morning after breakfast we will travel by coach to attend a local Sacrament meeting. The rest of the day will be at leisure to explore the city on your own. 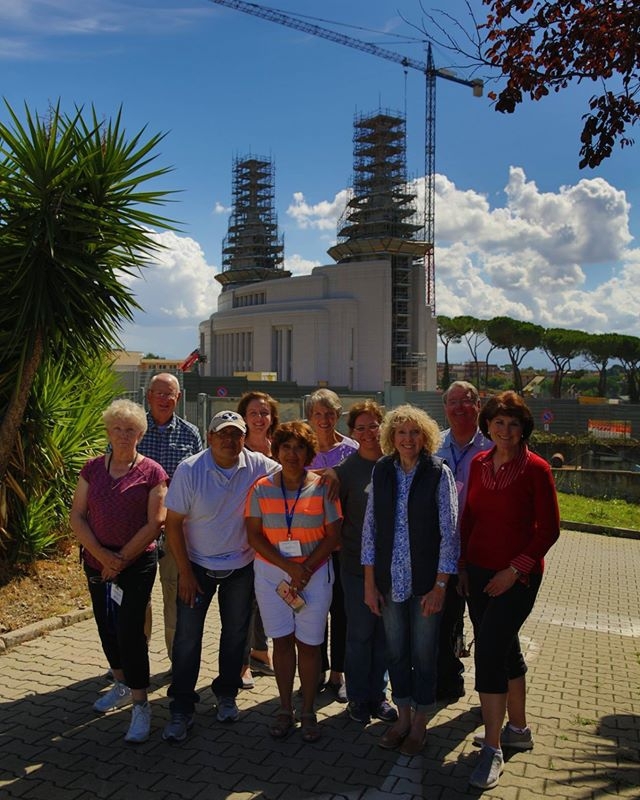 Optional Tour: For those who would like, a local LDS tour director will be offering an optional walking tour to several religious sites in Old Rome that relate to the time of the apostles Peter and Paul (Cost 30 Euros per person for entrance fees). This morning tour the Vatican, the world's smallest independent state. Our guide will start with an overview of the history of the Vatican Museums. The highlight of the tour will be the Sistine Chapel, where the ceiling is covered with Michelangelo's most famous paintings. Then we explore St. Peter's Square, with Bernini's 284 columns, before entering St. Peter's Basilica, the largest church in Christendom. In the afternnoon, enjoy a walking tour of the old part of town to see popular and beautiful squares as Trevi Fountain, Pantheon and Piazza Navona. Tonight, a farewell dinner is served at a local restaurant including live music entertainment. Return transfers from hotel are included. Board our private coach to the airport for your home-bound flight. Arrive in the USA on the same day.